The market for old-fashioned, separate-chassis SUVs has declined as the market for car-based crossovers has increased. These big, rugged beasts are somewhat of an anachronism in 2019 – generally unable to offer the refinement or dynamism of their newer rivals. 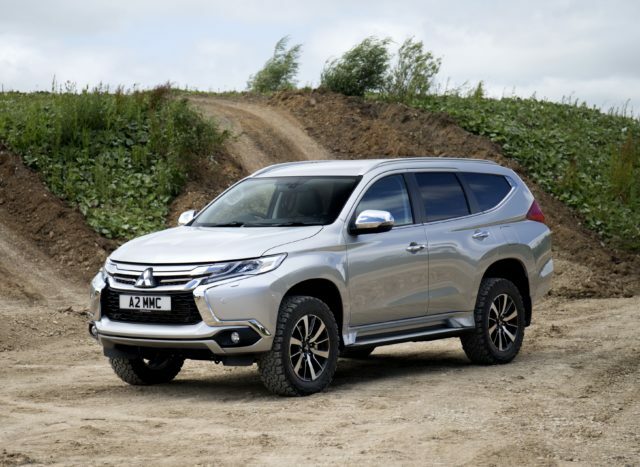 But Mitsubishi has a strong history of selling what these vehicles based on what they are good at – true off-road ability, dependability, and a general aura of toughness. This is its latest competitor – the Shogun Sport, based upon the same platform as the brand’s big-selling L200 pickup. 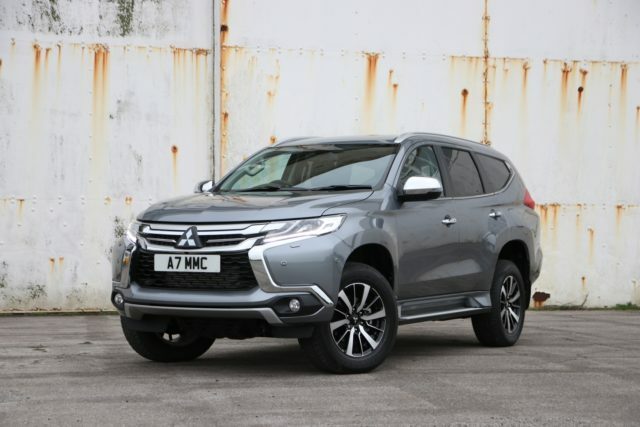 While the underlying platform of the Shogun Sport is similar to Mitsubishi’s L200 pickup, but instead of a load bed it’s fitted with a spacious – if not especially pretty – seven-seat SUV body. The L200’s 2.4-litre diesel engine is present and correct but it’s mated to a new eight-speed automatic, replacing the previous six-speed ‘box. Crucially in a vehicle that’s meant to carry passengers rather than cargo, the rear suspension has also been replaced with a more car-like multi-link system, which should give slightly more refinement to the ride. 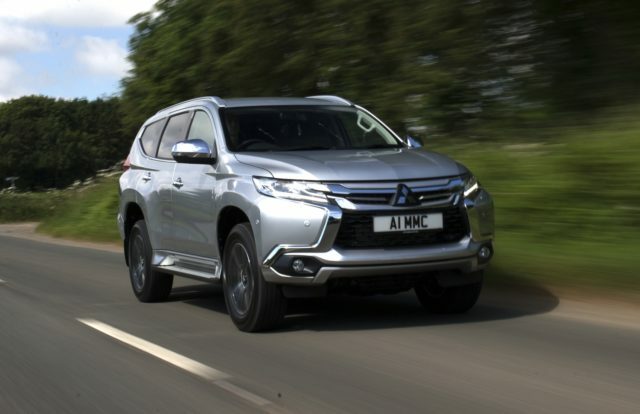 The Mitsubishi Shogun Sport uses the same 179bhp 2.4-litre diesel engine as you’ll find in the firm’s L200 pickup truck. Sporting it is not, but considering the car’s hefty weight and bluff bodywork performance isn’t too bad. Acceleration can be a little ponderous from a standstill, but you won’t want for low-end shove if you’re fully loaded or perhaps towing a trailer. 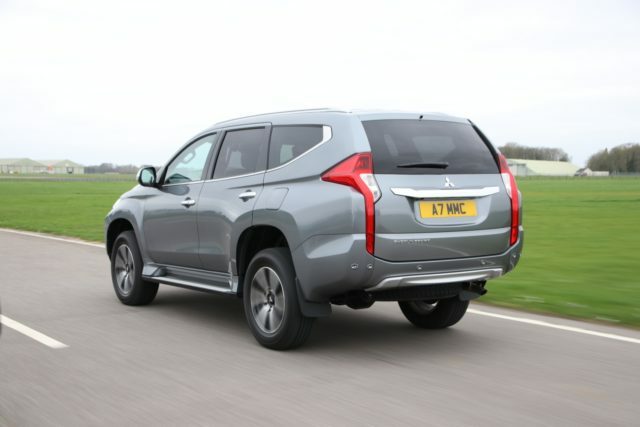 430Nm of torque should make light work of the Shogun Sport’s 3.1-tonne towing limit. Where this agricultural engine falls down is its refinement, which is poor to say the least. Diesel clatter pervades the cabin regardless of your speed. Fuel economy also isn’t fantastic, as you’ll struggle to best 30mpg even on a long run. Experiencing the Shogun Sport begins when you clamber into it. And we really do mean clamber – this is one tall vehicle, which should give you a little warning about its cornering stability. In fairness to it, the Shogun Sport is no worse than many pickup trucks on tarmac. However, its choppy ride, uncertain steering and worrying body lean make the Kia Sorento and SsangYong Rexton feel like hot hatchbacks in comparison. Off-road it’s a different story – the Shogun Sport is very capable, thanks to tons of ground clearance, selectable four-wheel drive and a low-range gearbox. Beauty’s in the eye of the beholder, but we’d struggle to call the Shogun Sport pretty. Imposing is possibly a better way to put it – it’s laden with chrome, especially on the ‘Dynamic Shield’ front grille. LED daytime running lights do at least make the Shogun Sport appear modern, but the dodgy rear end looks uncomfortably pinched. The wheels also appear slightly lost in the massive arches, likely due to that old-fashioned suspension. The Shogun Sport definitely won’t turn any heads, then, but nor will it attract any disgusted glances – unless, perhaps, you try and sneak it into the local country club. Other than a slightly redesigned centre console, the interior of the Shogun Sport is pure L200. 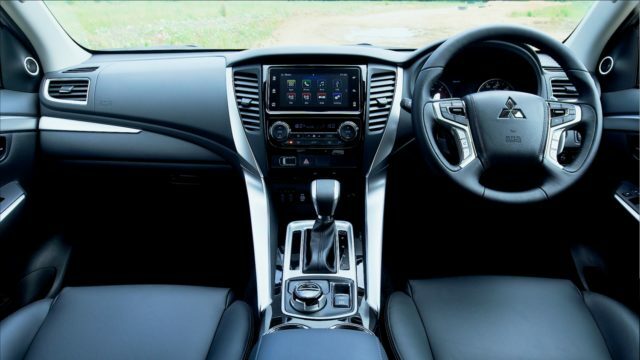 Although that does mean an easy-to use layout and clear dials and gauges, it also means a concentration on the hardwearing rather than the plush – so there’s really not much to get excited about in here. Space in the second row of seats is decent, and the theatre-style rise means that occupants in all three rows get a good view out. Those in the rear seats had better be short, though – there’s precious little room for adults back here, and certainly less than in a SsangYong Rexton. There are only two trims on offer in the UK – named ‘3’ and ‘4’. Both are decently equipped with 18-inch alloy wheels, privacy glass, full LED headlights, full leather upholstery, keyless entry and cruise control all as standard. Range-topping 4 trim adds on a healthy chunk to the price tag, but does bring heated front seats, an upgraded sound system, adaptive cruise control and a raft of safety kit. 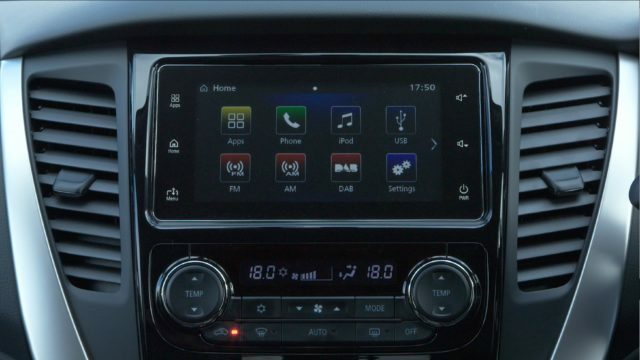 Both models use a third-party touchscreen infotainment system, whos one saving grace is that it offers native support for Apple CarPlay and Android Auto. This is also the only way to get sat-nav on the Shogun Sport. The Shogun Sport will suit a few people very well – it’s rugged, great off-road and capable of carrying and towing vast loads. It should also prove reliable, with simple components and that chunky commercial powertrain. As a pure SUV, though, it falls flat even compared to the likes of the Kia Sorento and SsangYong Rexton. And if you’re after just a seven-seat family bus, a Skoda Kodiaq will prove far superior.